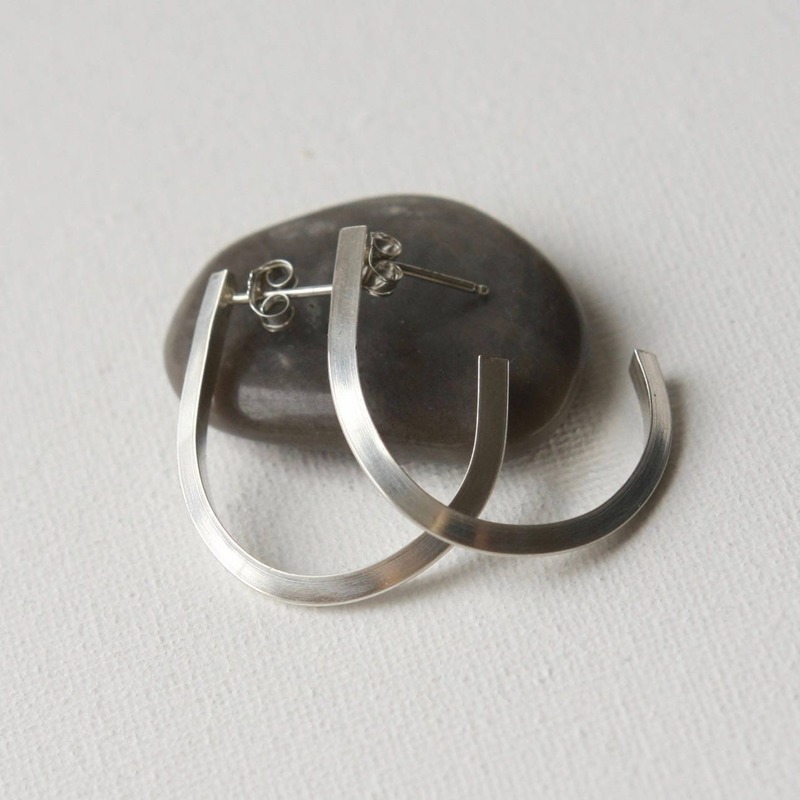 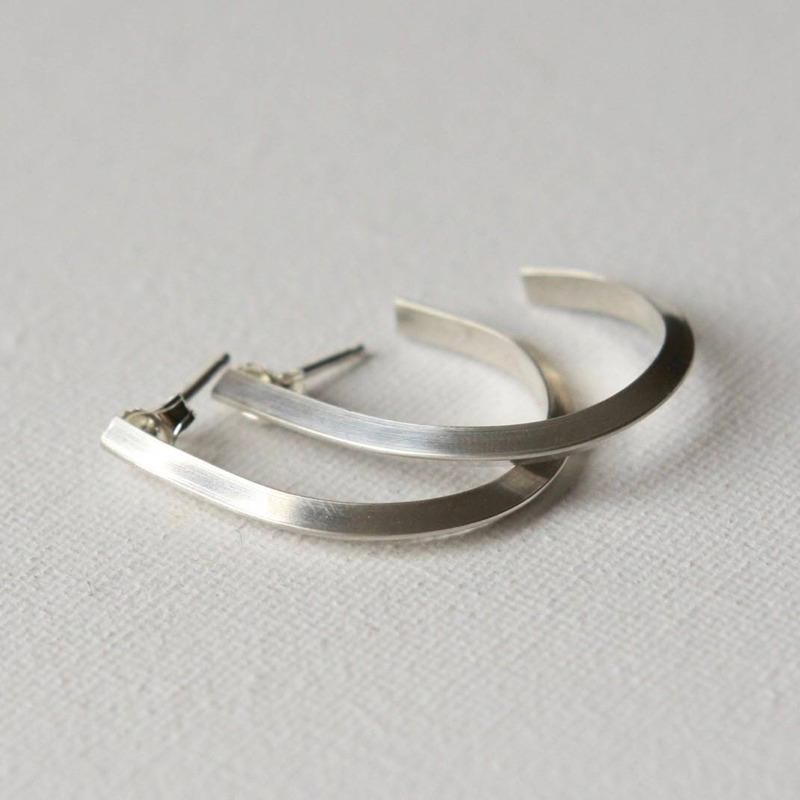 Clean and contemporary perfectly describe these sleek oval sterling silver hoop earrings. 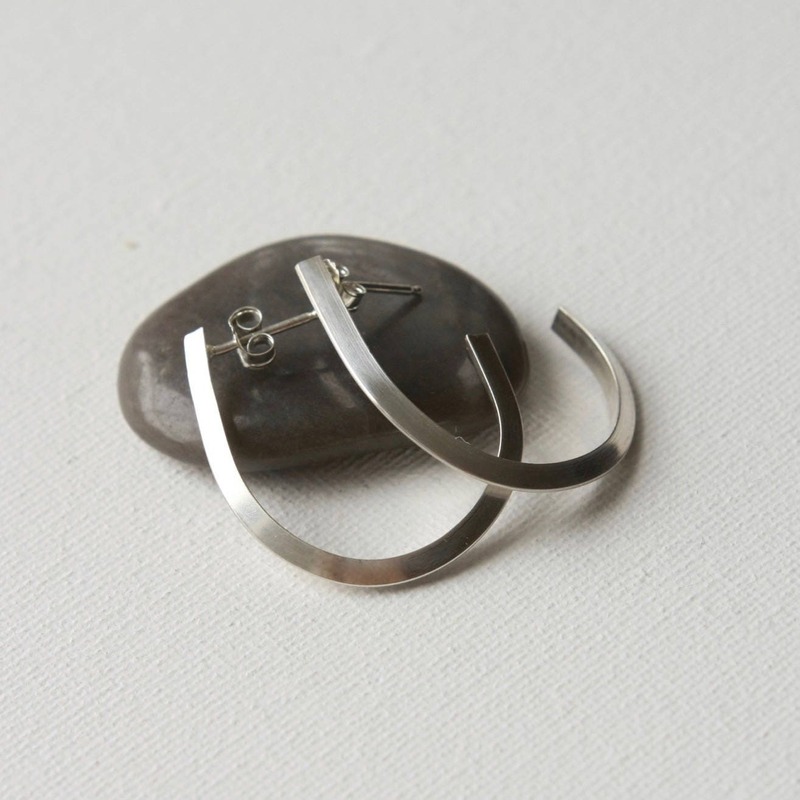 I made them with substantial yet lightweight sterling silver triangle wire and soldered posts held securely by sterling backs. 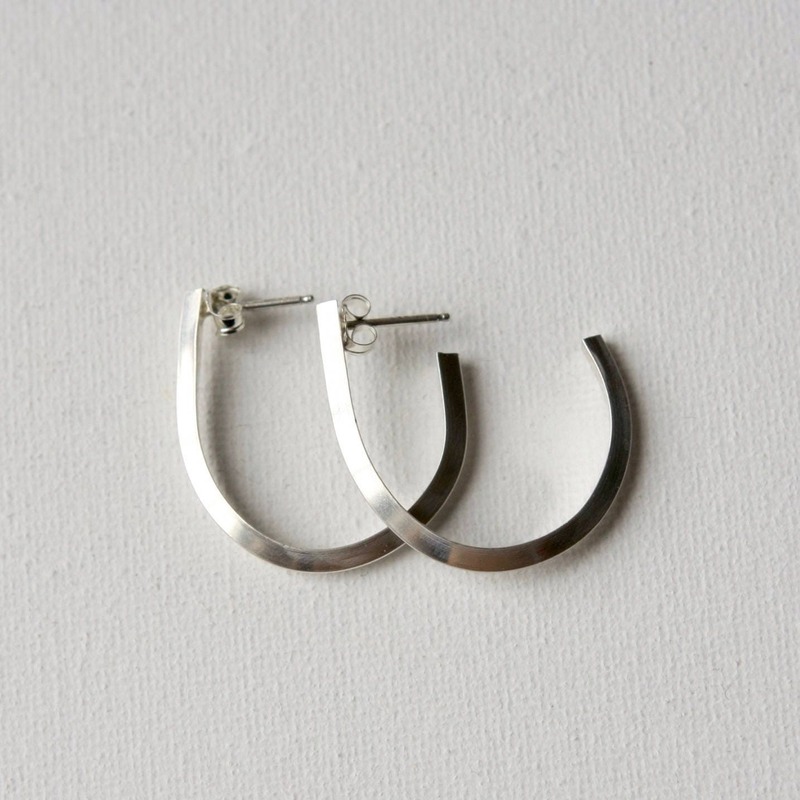 The thicker wire is on trend right now as I'm seeing big hoops everywhere! 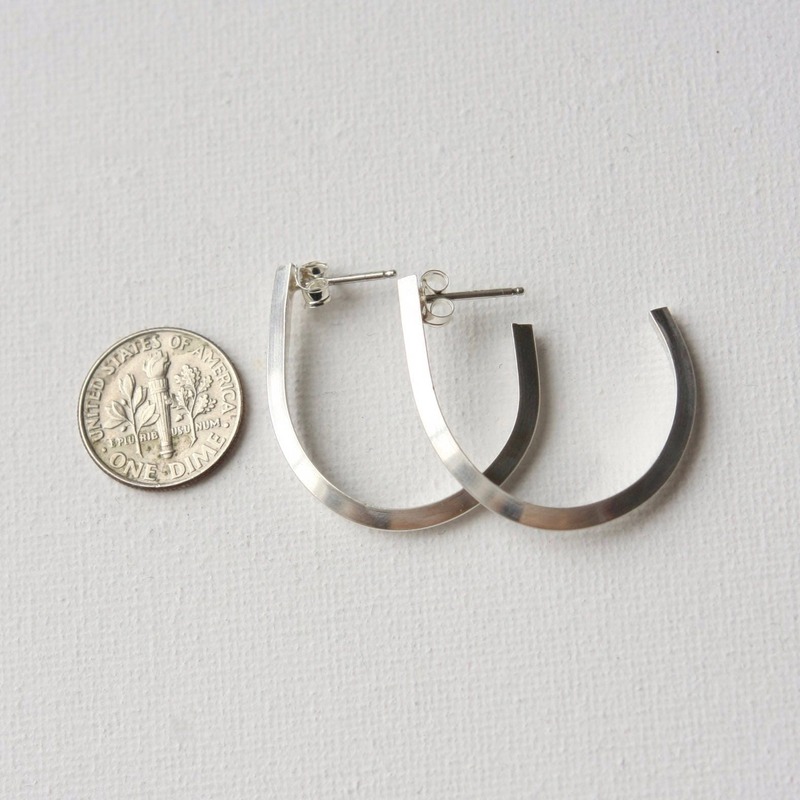 The earrings hang almost 1.25 inches from the top of the posts and are a little over an inch wide. 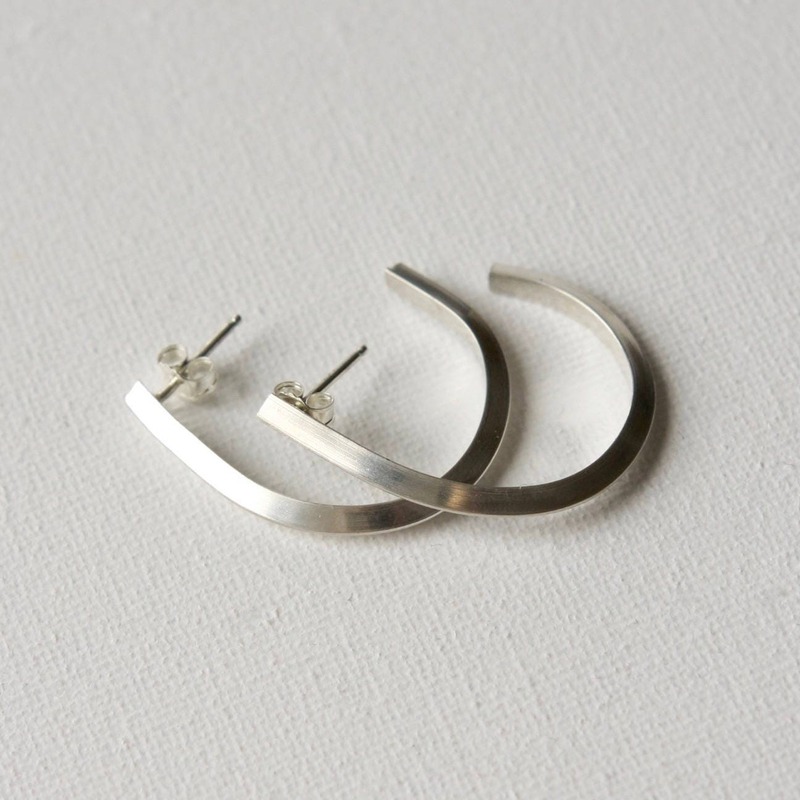 The earrings have a nice polished sheen that really compliments the modern style.